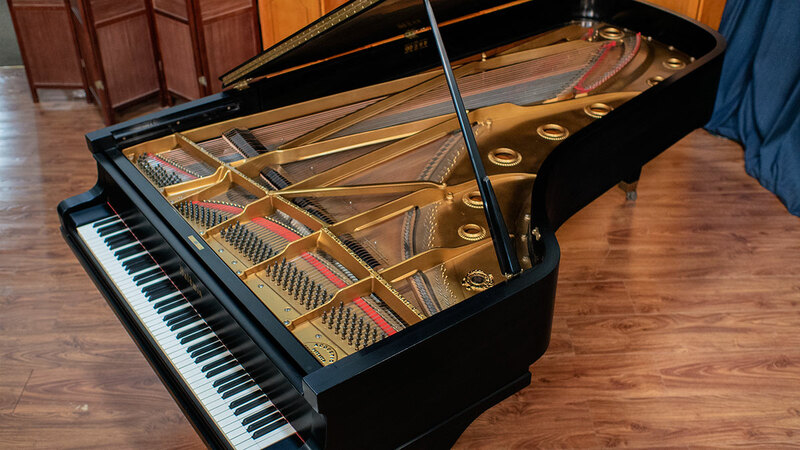 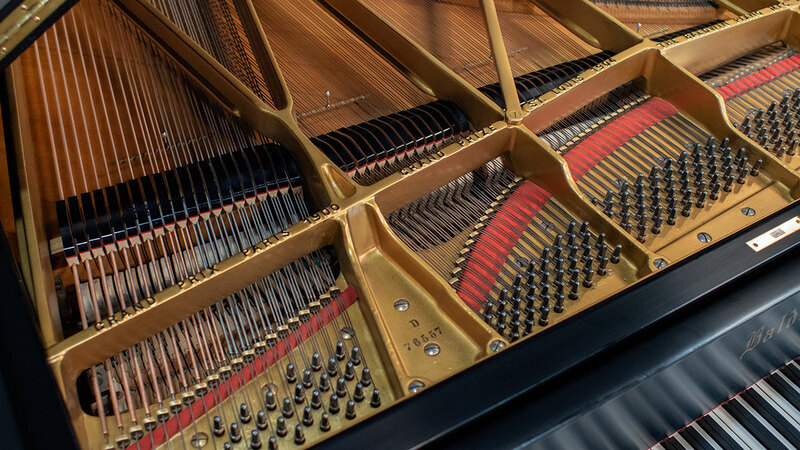 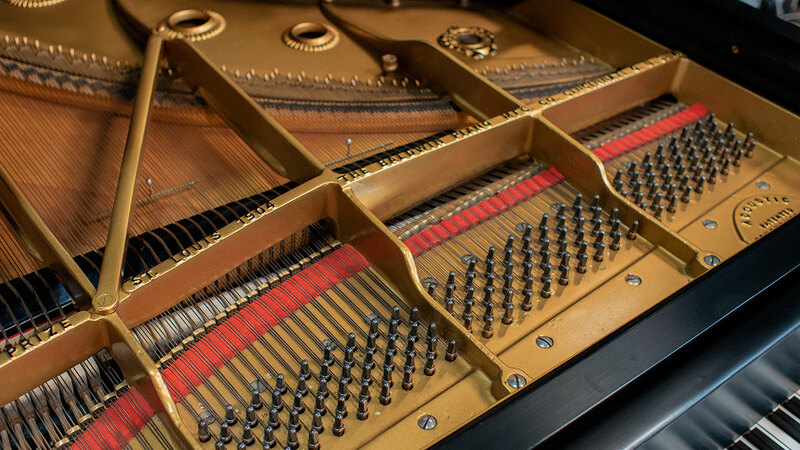 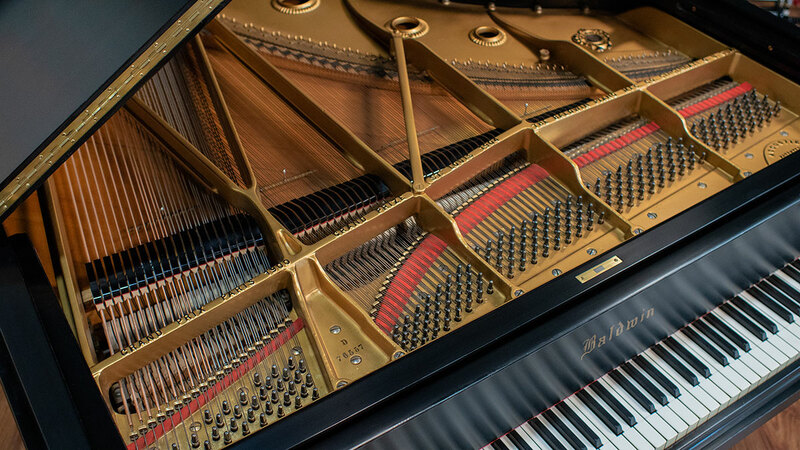 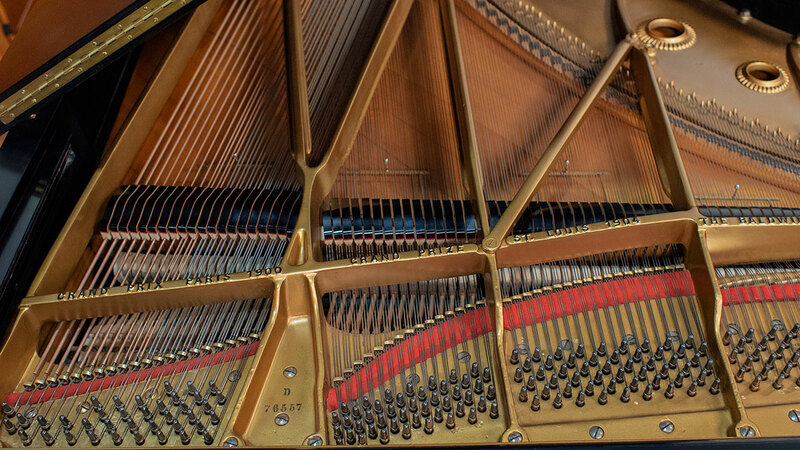 This is a unique instrument that represents the pinnacle of piano building from the Golden Era of American piano manufacturing along with state-of-the-art technology which can record and playback your performances! 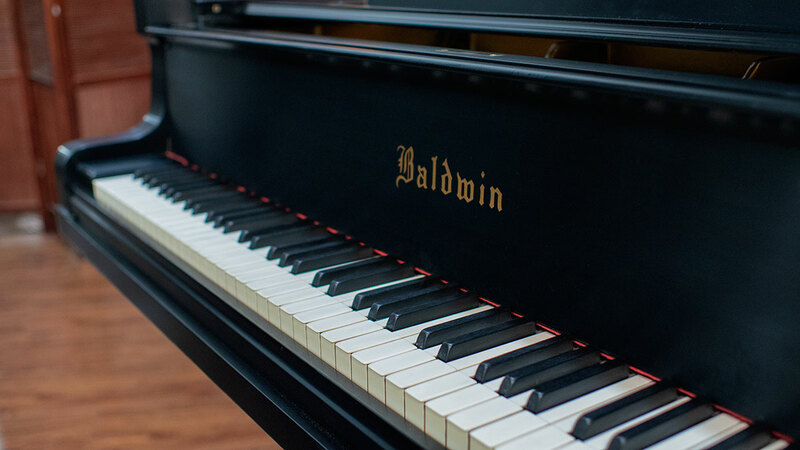 At the time this piano was built, Baldwin was not only one of the largest piano manufacturers in the United States, but they were also the choice of some of the world’s greatest concert pianists. 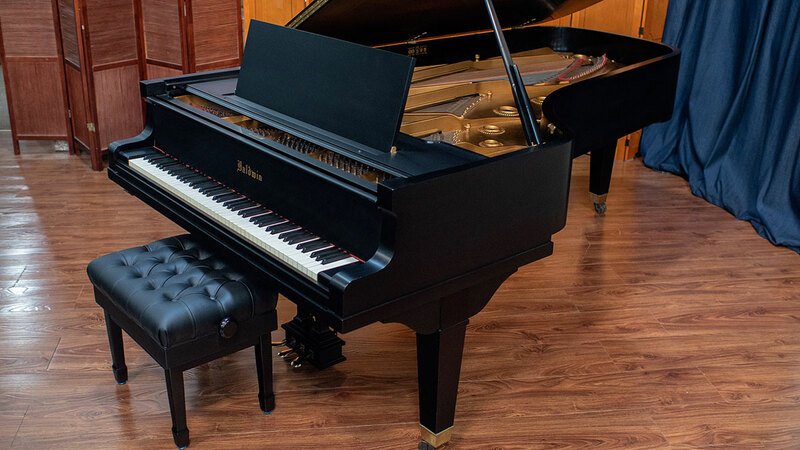 While concert grand pianos generally have great bass, Baldwin is particularly known for its huge bass and this piano is no exception. 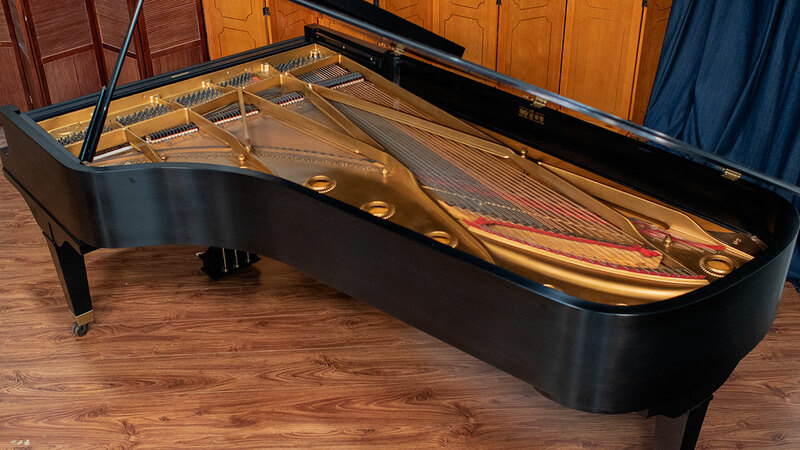 The finish is original and looks good. 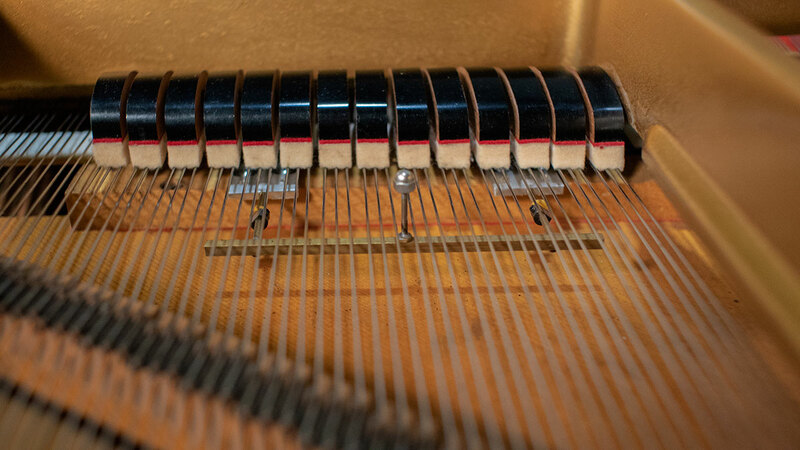 It has the original real key tops (not plastic) which reveals this piano’s gentle history. 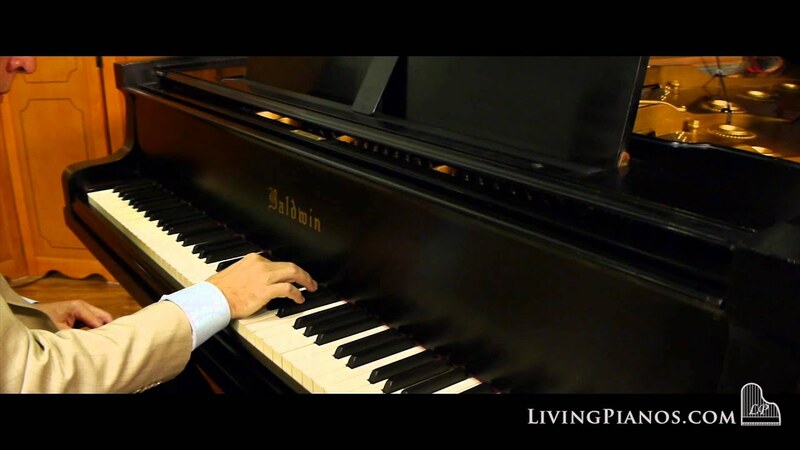 The piano plays very evenly and has a big sound. 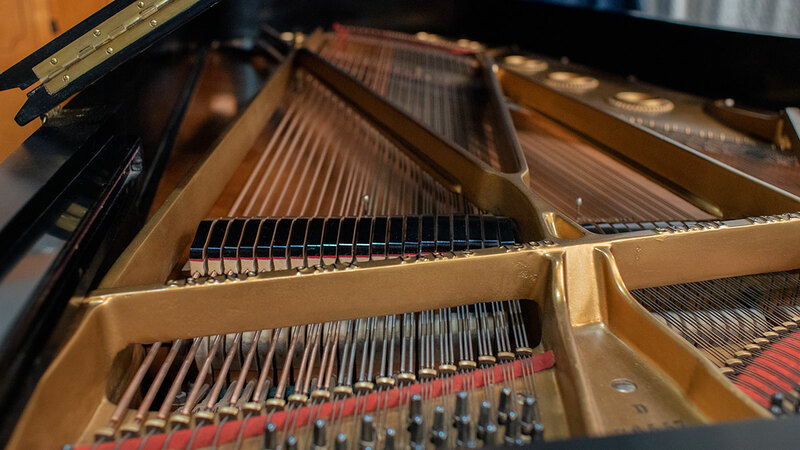 It has been regulated and voiced to a level suitable for a concert level player. 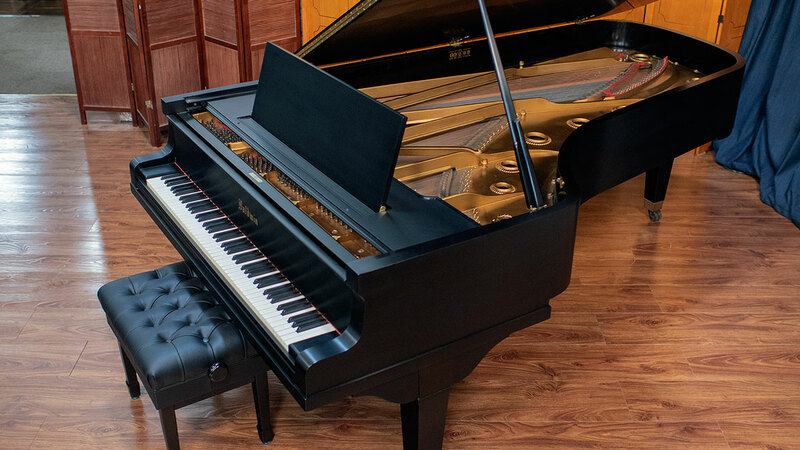 QRS Pianomation II system: for wireless playback of a huge library of pre-recorded music which you can control from your iPhone or other device. 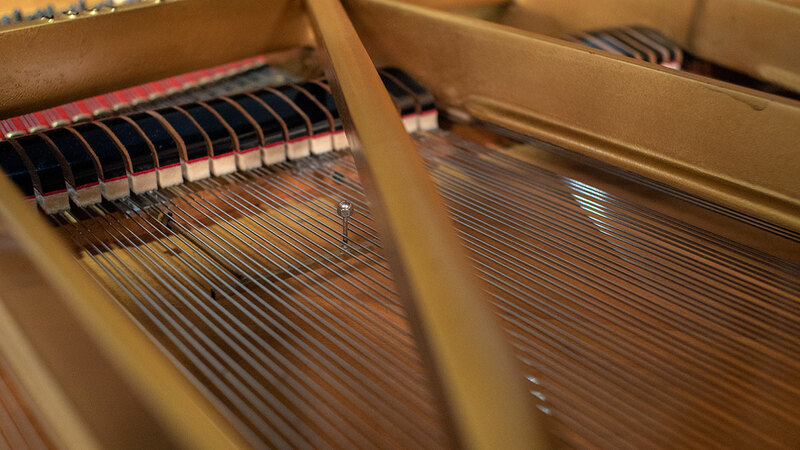 PNOscan installed: This enables you to record your performances and have the piano play them back for you instantly! 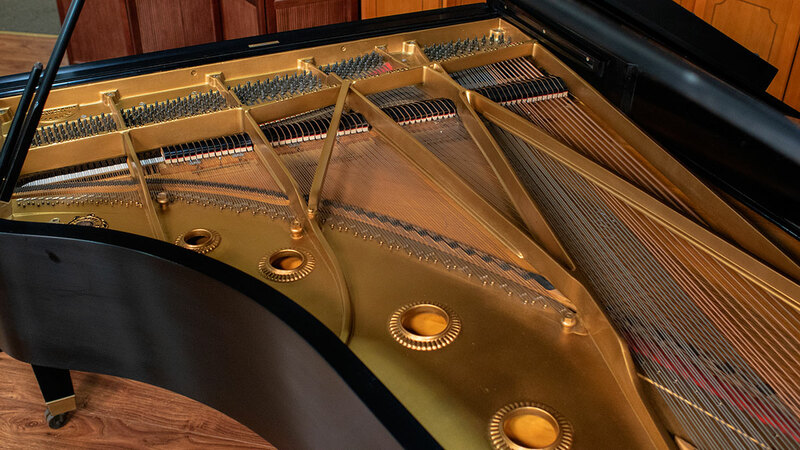 Muffler Rail: For times you want to play very quietly, you can engage the Muffler Rail which doesn’t effect the touch at all. 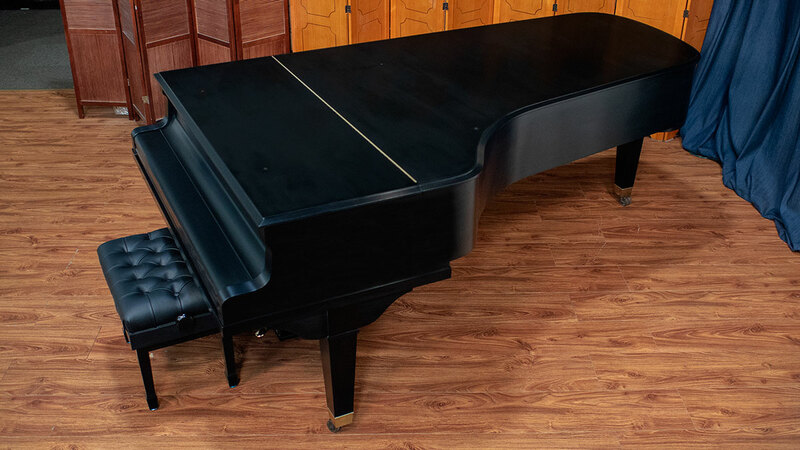 Dampp Chaser System: This technology keeps the soundboard stable for when the humidity in the room is too high. 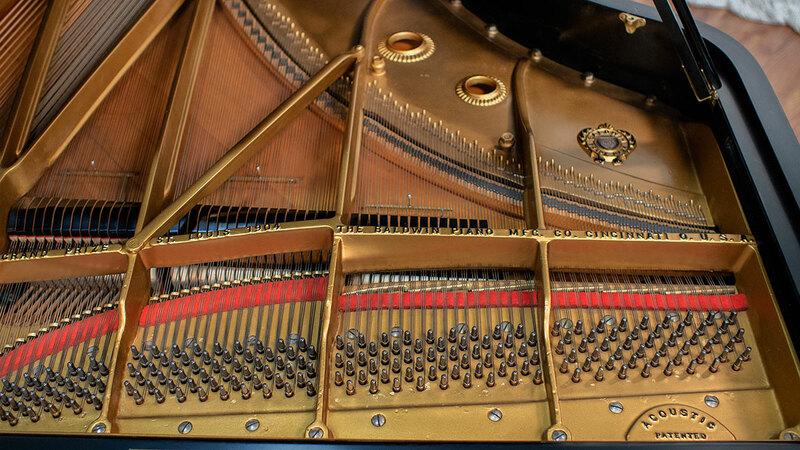 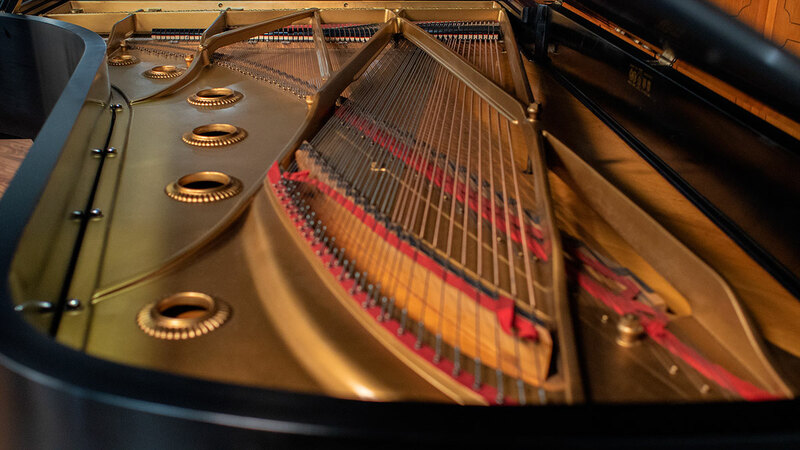 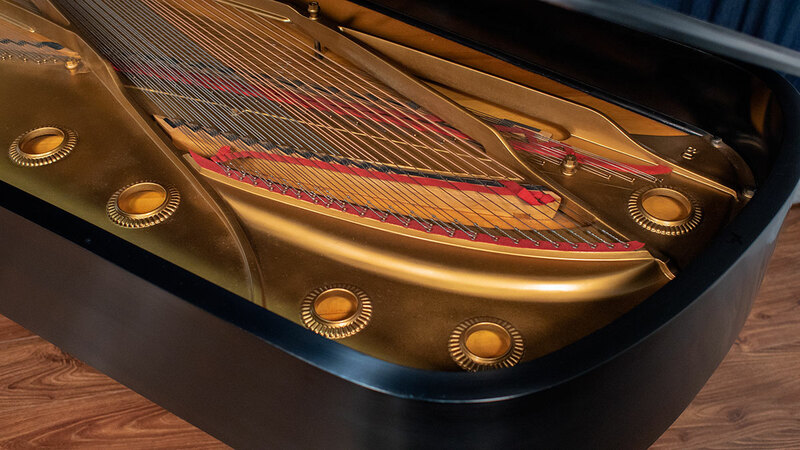 You get the best of both worlds – the old world craftsmanship from a bygone era, as well as a sophisticated, yet simple to use system that is practically invisible, yet provides powerful resources to enrich your piano experience.